Evernote manages to impress me with every iteration of their apps on iOS and OS X. Little over a week ago, Evernote launched a redesigned web app that absolutely blew my mind. It is on par or better than most writing apps for a lot of things and it looks drop dead gorgeous. 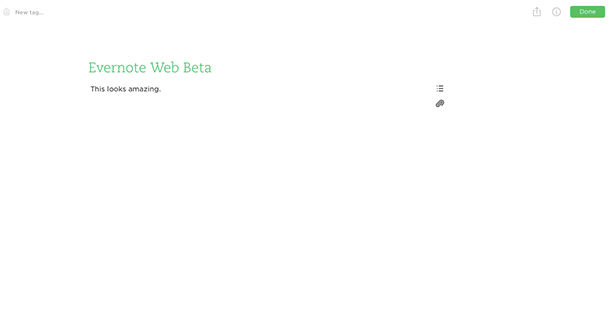 The web beta has a minimal look with great typography. Glyphs are beautiful, animations are subtle, and there’s even a custom dropdown menu while typing. While the overall look has tons of whitespace, the use of the signature green in alerts and as the main colour in the interface, really makes it shine. The sidebar is really great and switching sections from favourites to notes to notebooks and even tags doesn’t open a new tab or window. 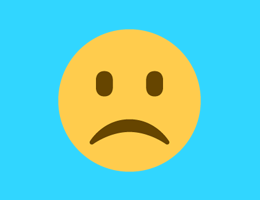 Everything happens and feels like a native application in your browser. The Search in Evernote Web has nice large typography and is almost instant with results. The actual compose window for notes has the already minimal interface recede back leaving you with a nice big empty canvas for your thoughts. Overall, Evernote Web Beta is amazing and you should enable it by logging in and agreeing to join the beta in the dialogue box. I can’t wait to see what Evernote does next.